Following a incident that caused its un-manned Falcon 9 rocket to disintegrate on launch back in June, Space X has successfully launched and landed its reusable rocket design. CEO Elon Musk had delayed the launch until Monday in order to catch some better weather - and it looks like those better odds have paid dividends. So what's all the big hoo-ha about landing a rocket back on Earth? For years, space agencies have mostly relied on non-reusable launch vehicles - rockets that power a payload into space then fall away, only to be incinerated in our atmosphere on re-entry. This might sound costly - and it is - but the production of said vehicles has progressed so far in the last few decades that using disposable tech has ultimately been more cost effective than the research and risk involved in using recoverable rockets. 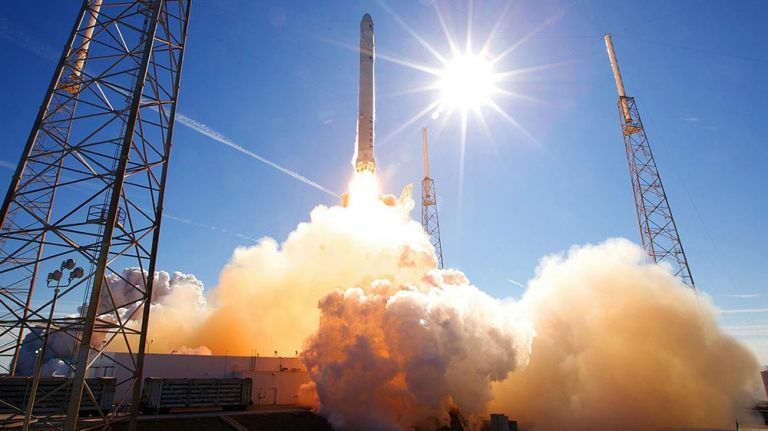 But SpaceX has nonetheless been pursuing the idea of an affordable yet reliable reusable rocket for years, and its dedication has finally paid off with Monday's successful landing. The rocket carried its 11 satellite payload into orbit as well as returning and landing on solid ground back at NASA launch site Cape Canaveral in Florida. While this isn't the first rocket to make a vertical landing successfully, it's certainly a first for SpaceX and another step forwards for the argument that recoverable rockets can be cost effective.